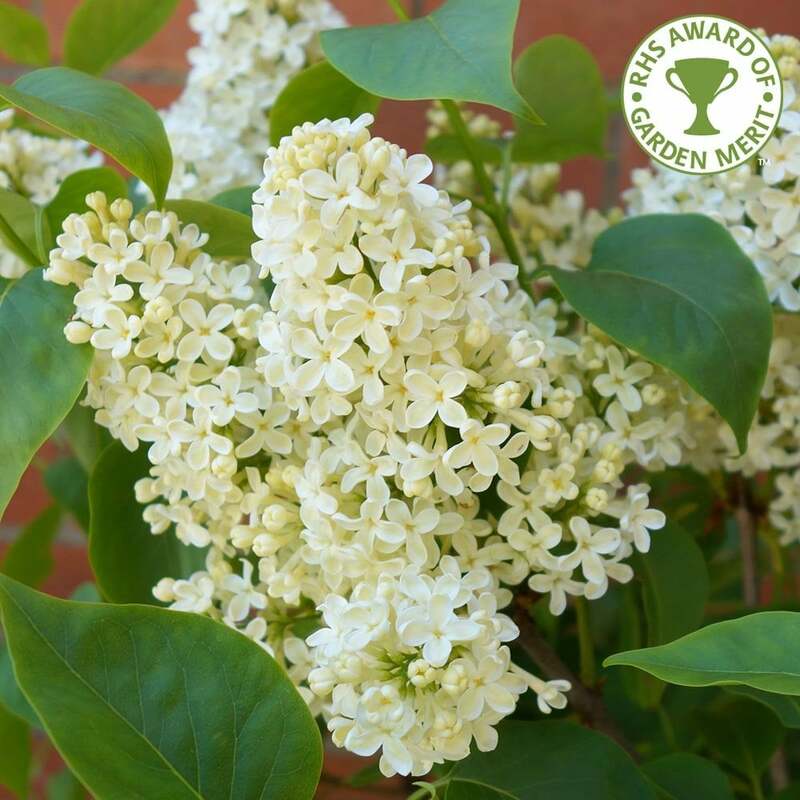 A fantastic, popular large shrub or small garden tree, Primrose Lilac produces masses of strongly scented creamy yellow flowers in May-June. Mid to dark green, heart-shaped foliage makes an appealing foil for the large flowers in spring and summer, which attract all kinds of wildlife such as bees and butterflies. Grown on well-drained soil in sun, this lilac tree, Syringa vulgaris Primrose will grow to 4 x 4 metres in 20 years. Tolerant of alkaline soils this Yellow Lilac tree is a wonderful choice for a nature or sensory garden. Click here to go to all Lilac trees and bushes. Our pot grown Primrose Yellow Lilac trees can be planted at any time of the year. Start by removing weeds and grass within a metre of your desired planting hole. Dig a square hole as deep as your root mass and approximately 2x as wide. To help the tree establish more effectively, sprinkle root grow in the hole. Remove the pot, gently tease the roots and place into the planting hole. Mix 50% of the original soil with 50% compost, fill in the hole and firm around gently. Avoid banking the soil up around the collar of the tree. Whilst bush forms of Primrose Yellow Lilac do not require a stake and tie support, single stem tree forms do. If you’re planting in spring or summer, water well for the first few months. Increase watering if there are extended periods of hot or dry weather. If planting in autumn, you may only need to water a little. Irrigation kits make it easier. Pruning is encouraged when it comes to Primrose Yellow Lilac trees. If you wish to maintain a bush rather than a tree, allow the side growth to flourish and simply prune after flowering. For a tree effect, prune the longest, oldest branches that lie closest to the ground. If your Primrose Yellow Lilac begins to look overcrowded, remove inner branches to allow more light and air inside the canopy. Always prune dead flowers and damaged or diseased branches. Mature Lilac trees that have become overgrown can be hard pruned back to their former glory, but it will take time. Never prune a lilac tree back by more than a third of its size. Do this one season at a time, allowing the tree to recover in between. Apply a fertiliser each autumn and again in spring, just before flowering.